Hop over to Madeleine Kane's Blog to join in with the Limerick Off. Maybe you're not a fan of Limericks? I'd love to know. ROMANTIC FRIDAY WRITERS Based on the given theme snippets from novels, ongoing WIPs, a piece of bespoke flash-fiction or poetry for critiquing can be posted. Max word count is 400. “Jack darling, I love you” Rosie’s voice whispered, penetrating his dreamscape. He lay in that half-light between sleep and wakefulness, with his eyes still closed and his consciousness sluggish and blurred, while the clock in the hall began to chime the hour. “Goodbye Jack” the lingering voice of his late wife spoke again as the clock struck thirteen. Writing in this genre places the primary focus on the relationship and romantic love between two people and must have an "emotionally satisfying and optimistic ending. LOL! I'm not sure about my ending based on this spooky theme! 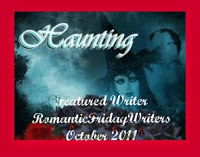 Our Featured Writer for the Haunting theme must go this week to Madeleine for her Bewitching Hour. Who wasn't shaken to the core by Madeleine's carefully-crafted tale of Jack and Rosie? As Francine said in comments - 'stunning, simply stunning...' It was a heart-breaker, yet oozing with romance. Congratulations Madeleine. There is a special badge this week to display on your blog. I loved the image for Haunting so much I didn't want to say goodbye. Hosted by Get Busy Writing. The theme is, you guessed it, Killer Characters! Is there a hero who's haunted your dreams? How about a lower-than-dirt bad guy who's made your skin crawl? Or a spunky sidekick who's stolen your heart? Tell us about them! All entires should be 250 words maximum, but you may use all the pictures you'd like. All my chosen characters are richly colourful and well crafted. they come alive off the page. Serverus Snape from Harry Potter who everyone loves to hate and as a little cheat Captain Barbossa from Pirates of the Carribean after all the character was crafted by screenwriters Ted Elliott and Terry Rossio. Mr. Croup who is the talkative half of the pair of assassins. He is an educated thug, short, fat, and speaks in a pompous and verbose manner and seems be the one calling the shots. He has a taste (literally) for fine china. Mr. Vandemar is rather dull-witted, tall, and gangly. Vandemar is Croup’s polar opposite. He does not speak much, but when he does, his statements are often laconic and blunt. He is quite brutish and seems to enjoy nothing more than killing and destroying things (even practising his golf swing with live toads). should it be Becky Sharpe from Vanity Fair because she is ever resourceful in an unfair world? or Todd and Viola from Chaos Walking Trilogy who battle on through adversity? Or Vianne Rocher from Chocolat by Joanne Harris because she is kind and proactive in helping others and ends up learning how to let others help her? Today I have had major problems with Internet access and Blogger freezing up on me in Internet Explorer. I even removed the kitty/toaster you tube clip and my animated Blog awards in the side bar in case that was affecting it. 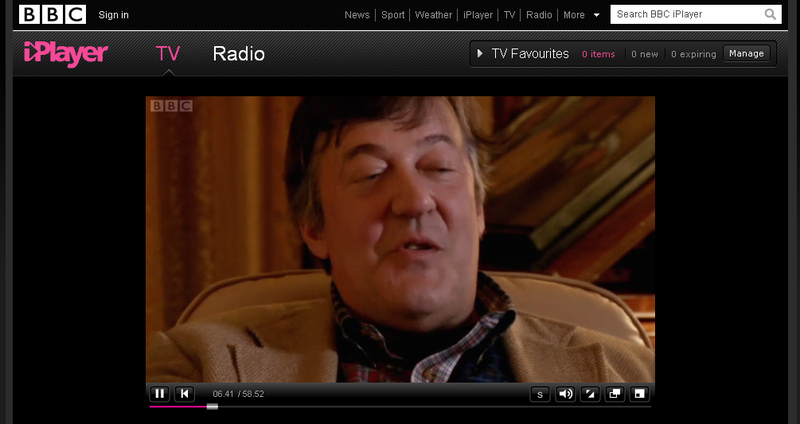 This evening I have been using Google Chrome, which doesn't seem to have the freezing up problems. I can now admit that when I first set post into the blogging community in August 2010, I couldn't help but notice all the wonderful awards adorning the established blogs I visited. I thought wistfully: I wonder whether I will ever receive any such fabulous accolades? Well since then I have set up a separate BLOG AWARDS tab to announce all the amazing awards that all you amazing bloggers have bestowed upon me. I am in awe, delighted and ecstatic. THANK YOU ALL SO MUCH. I'm beginning to feel like someone with a cigarette card or stamp collection LOL! The hardest part is passing on the award to other worthy bloggers who haven't yet received it without duplicating the accolade for them whilst neglecting others. I've gone a bit mad this time and chosen a few lovely bloggers who have supported me when I've been feeling low. How do you manage your awards? Do you have a separate page? Or maybe an animated film strip? in the field of English Literature. My favourite quote from this episode is when he says: ' What distinguishes Shakespeare from all his colleagues, aside from his prodigious output, was his concentration on character often at the expense of plot, which he was content to lift from others'. It is certainly the characters that hold my interest first and foremost, but naturally if a plot is fairly simplistic and linear it makes for a rather limited story line that fails to stand the test of many re-reads or viewings. Apparently, Stephen King bases all his characters good and bad on himself! Your characters and their agendas? Our satellite dish lost a piece in the gales last night. We heard it drop and roll down the roof as we sat chatting in the conservatory, but we know not what or where the piece has gone. It is raining heavily today, so no sign of our friendly TV repairman who has slight vertigo problems! Nano? No, I've decided not to participate this year. I wanted to say thanks to everyone who gave me the benefit of their own experiences with the process and I did toy with the idea of taking part, but have decided that I must concentrate on my research and reading this year and plan possibly to have a go next year. critiquing someone's work or receiving critiques about one's own writing can be an absolute minefield! One of the hardest lessons I've had to learn is not to throw my toys out of the pram when others don't get my writing. I admit it. Taking a step back and considering others' comments is hard, but I realised it was an important step for me to mature as a writer. Criticism has the potential to be both inspiring and fatal ... I’d suggest some rules of thumb. Spend a few days mulling on any criticism before drawing conclusions. If a criticism strikes a chord with you, act on it. If it doesn’t, but if several critics have touched on the same thing, consider very carefully whether to act on it. If a criticism really doesn’t strike a chord, and particularly if no one else has picked up on it, probably ignore it. Lastly, you may find critics evenly divided on an issue, as many pro as con. These are the trickiest to navigate: go with what your instincts tell you. The Feedback Sandwich approach, suggests sandwiching positive comments before and after polite, constructive advice, which is a good rule of thumb, but not something we all always get right. I know I don't. How do you approach feedback? Do you say something anodyne to soothe the author of the piece? Do you give specific examples of why you have made certain comments? Do you seek to help or improve others' writing with your comments? Do you always get the balance right? Shelly Sly's recent blogpost sums up the negative side of criticism. Rejection isn't failure! I hate it when others don't get my writing or when they make comments that clearly show they haven't read it properly. How do you cope? I've been considering doing Nanowrimo this year, but am scared I won't succeed. WHAT would you say were the pluses and minuses of doing it? My writing creativity has taken another serious blow due to the recent news that a friend, our Vicar, died suddenly. I guess it has brought up a whole emotional can of worms connected with my parents. I did read somewhere that (something like) 80% of authors have experienced clinical depression at some stage in their lives. An interesting statistic! So if I'm quiet on the blogging front it will be either because I'm toiling at a MS or watching a film or doing some vigorous housework to drown out the negative thoughts than accompany grief. I'm sure I'll be much better when the overcast weather clears. Based on the given theme we can post up snippets from novels, ongoing WIPs, a piece of bespoke flash-ficton or poetry. Maximum word count is 400. “Great! Though we can’t rely on a good reception everywhere up there” He returned to the task of packing their rucksacks with lunches, torches, maps, compass, water, candy, dried fruit, nuts, first aid kit, whistle, waterproofs. The list seemed endless. She’d come wearing jeans, denim trainers and a cute little crop-top that accentuated her womanly endowments. He’d responded with an appreciative smile, his raised eyebrows turning into what quickly became a frown. His warm, brown eyes filled with concern. “Oh, okay” Jody replied feeling slightly deflated, but seeing the determination in his chiselled features. He swept a hand through his glossy brown hair and left her to change. Now up on Dartmoor the sun rained down on them and she wished she was wearing that crop top, instead of T- shirt and weatherproofs. She was sure her cheeks were flushed crimson and she felt hot and thirsty. She smiled back feeling a rush of excitement and her heart beat drummed its own countdown for their first kiss, but instead they walked on. They shared a bottle of water drinking appreciatively. “Let’s have lunch up here” she said. “Great idea” he replied breathily, moving in closer until their lips met. The kiss was as deliciously sweet as rock candy and her heart beat drummed a crescendo of emotion. 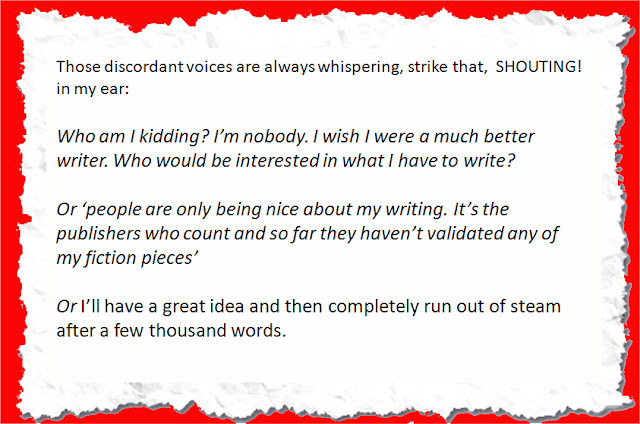 Thanks to Alex J Cavanagh for this opportunity to share our writerly woes. I read a great quote that said that you must be very determined to be a writer and believe in what you are writing. I spent a morning researching for my new WIP and I am hoping that armed with enough information those voices will dissolve and I will feel back to full writing confidence. I do know that this first blogging year has been a great boost to my creative ego. I do appreciate everyone's positive comments and support. Getting feedback, information and opportunities to hone my writing skills in the various blogfest challenges people have created has made such a difference to my writing maturity. So thank you to everyone for your wonderful support and encouragement. Ms. Kane sets the first line each week of the Limerick and the rest is up to you. Was reluctant to bet on a Nickel. Thought a peeping-tom lifestyle quite neat. While he’d beaten a hasty retreat.